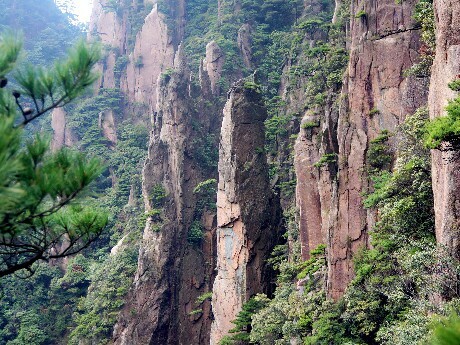 The Villages around the Yellow Mountains were considered to be the Arcadia in ancient China. This 3-day natural and relaxing tour allows you to walk or bike relaxedly among ancient villages, stay one night on the mountain, see the much-sought-after scenery and indulge yourself in the hot springs to finish off your tour with some relaxation. From Hongcun, the ancient pathway, to the awesome Pigs Inn to catching the out of this world clouds at HuangShan and hot springs in Yellow Mountain, it was one of the best trips I&apos;ve ever taken in my well traveled life! 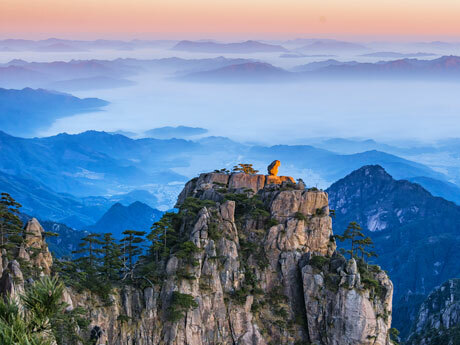 Via bus, flight or train, no matter how you will travel to Huangshan, your private guide and driver will be ready and waiting for you with a sign of your name. 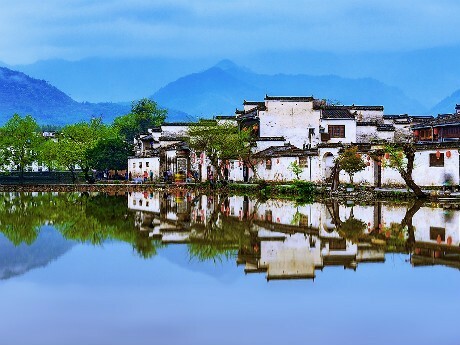 After that, you will commence your tour to Hongcun Ancient Village, a charming ancient village with a history of over 800 years. The village will show you the original Hui style architecture. Then escape to the rural Utopia, Bishan. Unlike the other villages that you will visit nearby, Bishan&apos;s buildings are combined with modern and artistic ideas. It will be a 2-hour-walking(or cycling) tour in the village, by visiting series of old buildings that are reformed by creative artists. Beyond that, you will travel behind the scene and learn to know the interesting stories of Bishan rural Utopia plan. You will spend a day and a night on the Yellow Mountains. Your appreciation of the graceful Yellow Mountains begins with the Yungu cable car, which is about 10 minutes (a round-trip cable car is included). Your guide, who spends over 200 days on the mountains every year, will customize the route for you. For an energetic hiker in good shape: Descend the cable car, walk for about 30 minutes via mostly down stairs to arrive at the hotel, and see Umbrella Pine and Black Tiger Pine along the way. After buffet lunch at the hotel, explore the West Sea Grand Canyon. The whole hiking trip lasts for over three hours, covering the 1st ring, 2nd ring, and bottom of the canyon. If time and strength permit, you can further explore the Flying-over Rock and watch the sunset at Bright Top. It takes about 40 minutes to get from Bright Top back to the hotel. For beginners, children, and senior citizens: Get off the cable car, walk for about 30 minutes to the hotel, and see Black Tiger Pine and Dream Flower Pine on the way. After buffet lunch at the hotel, walk to West Sea Grand Canyon. You can decide how long you would like to walk for: reaching the 1st ring and returning takes about two hours; reaching the 2nd ring and returning takes about 3 hours. Then enjoy the sunset at Cloud-dispelling Pavilion. It takes about 30 minutes to get back to the hotel. From the Cloud-dispelling Pavilion to the button of West Sea Grand Canyon, it&apos;s down stairs all the way and some sections are very narrow and steep. Therefore, trekking in the West Sea Grand Canyon can be a big challenge, especially to your knees. A monorail is available to help you save time and strength. You will need to be an early bird to see the sunrise. Your guide will tell you when and where to go, and offer local insider tips. After enjoying the sunrise, you will go back to your hotel and have breakfast. Then you will continue to take in more Yellow Mountain wonders, Lion Peak, Dawn Pavilion, Stone Monkey Watching the Sea, and all shapes of pines along the route. You can also climb up if you want. After a buffet lunch on the mountain, you will walk to Yungu cable car station and descend. 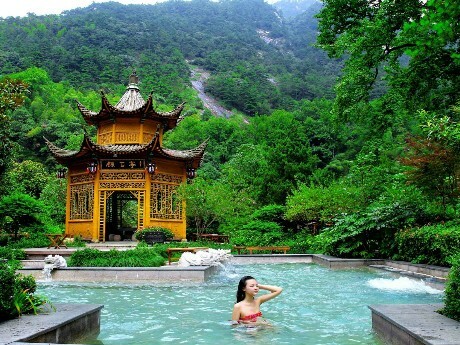 Huangshan Hot Spring is at the foot of the Yellow Mountains. There are various pools with different scents and healing properties: rose, lavender, jasmine and coffee, among others. It&apos;s a perfect way to refresh and recover after hiking on the mountains. Two hours before your boarding time, sit back and relax as your private driver and guide get you to the airport. They will take you right to check-in and say goodbye at the security gate. At the Hot Spring, you will be supplied with towels, shower gel, shampoo, hair dryers, brushes, flip flops, and lockers at the hot spring. All you need to bring is your swimsuit. This tour is very flexible. You can alter the itinerary, extend or shorten it to suit your price, interest, and schedule. If you would like to book the hotels on your own, we can remove the hotel cost from quotation. Please inform your travel advisor about your preference. Add Shanghai before or after the Huangshan tour, you can enrich your itinerary with the following must-see highlights: Yuyuan Garden, Oriental Pearl TV Tower, Shanghai World Financial Center, the Bund and Zhujiajiao Water Town. Hangzhou is easily reached from Huangshan by bus in three hours. 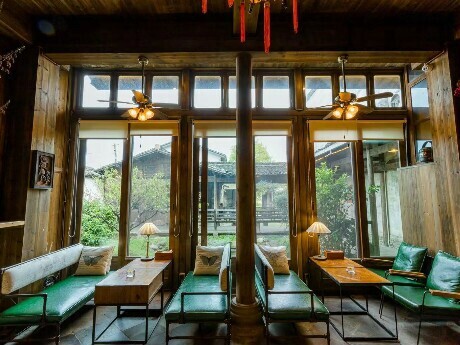 Extend the trip in Hangzhou to add a romantic touch to your tour: enjoy biking along the bank of West Lake, strolling in Lingyin Temple, tea tasting in the tea plantation, and boat riding in Xitang Ancient Water Town. The Wuyishan (Wuyi Mountain) in Fujian Province is famous for its Danxia landform, towering mountains and winding water. 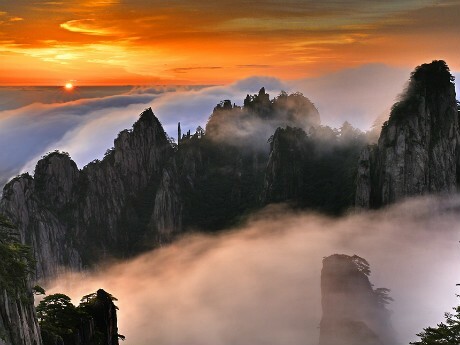 It takes only about 80 minutes from Huangshan to Wuyishan by high speed train. From Wuyishan, you can further explore Xiamen and unique Tulou (Hakka Earthen Building). Wuyuan is considered to be the most picturesque village of China. There you could capture the well-protected ancient villages of the Ming (1368–1644) and Qing (1636–1911) Dynasties and the pastoral landscape. Spring is the most pleasant time, especially in March and April. Jingdezhen is the world renowned Porcelain Capital. You can explore China&apos;s porcelain culture and make an artwork of your own. Feel free to tell us your requirements and interests, and we will be happy to help you arrange your trip using our professional knowledge and experience. West Grand Sea Canyon, Celestial Capital Peak and Lotus Peak usually close from December to March of the following year due to the snowy weather. Guide will adjust the itinerary to cover other highlights to make most of your time.